Rated 5 out of 5 by kerith90angel from Based on FULL GAME play & bonus. Here is what you can't see in DEMO version ***************May contain a spoiler**************** The SE portion of the game took me around 5 hours, 20min. The bonus play took me, 1hr 30min Total gameplay 6 hr. 10min --I took off 40min for a mini-game I had trouble on. The first thing I need to address is how beautifully done the characters were in this game. Instead of talking from the side of the screen with text, they have a moment of 3d while they come close to the for-front and they look so real as they talk. It was perfectly done. The cut scenes and graphics are also clear, crisp and have gorgeous effects & deep, rich color. First, you play in the present, then you have a time device that sends you for a chapter or so in Rome, then a chapter or so in Medieval times and the final portion of the standard portion of the game -they call it the Renaissance-- but it is actually a beautiful place with floating “animal islands” in the sky. Chapters in Rome were a reddish hue, while chapters in medieval times were tones of teal & blue. The final area of SE play has gorgeous pinks and natural tones. Chapter 4 has a storyline twist I was not a fan of. The SE portion ends quickly and leaves you hanging. Bonus play does not really completely answer or help this ending either as it is entirely another subject altogether. All of the Bonus play takes place in the future.... 2029, I believe. You play 12 brand new areas in bonus. There were 10 more mini games and 5 HOS. I have to admit, I wasn't a huge fan of the bonus level...as I prefer to play in outdoor areas and this entire level is inside. You STOP collecting items at the end of the SE. So there are no more collectibles in the bonus play. The game has a diary, a great portal task map, and a helpful step by step hint. Different to the inventory is a TIME DEVICE that will bring you to other locations as well as speeding up and slowing down time. There is EVERY type of Hidden object scene is this game....we have morphs, lists, silhouettes, collecting more than 1 item, multiple step scenes...and this DEV is trying to cater to all of us. CE goodies are: 19 wallpapers that save to doc file. You can replay 19 HOS & 12 mini games. Love a HO game that actually has more HOS then MG., 12 concept art, a statue page- for one of the collectibles, a puzzle pc page which looks like a stained glass window --- I was 1 piece off at the end of the game so I don't know if this does anything once you complete the puzzle, or not. Bonus play took me 1 ½ hrs. There is a 12 question test to determine what age in history you might fit into. There is an Achievement and Artifact –showing more collectibles pgs. as well. There is an in game 50pg walkthrough guide that I used several times to progress. To give you an idea of how long the bonus play is, CHAPTER 1 IS 8 PGS. BONUS CHAPTER IS 13PGS. All in all I really liked this game. I am glad I purchased the CE. Enjoy the hours you spend in another place in history! Rated 5 out of 5 by denniann2 from you need to keep the person away from the firebelt there is a custom level. there is an interactive map. you are trying to figure out why your friend has turned evil. he is trying to save debby and believes he needs three things to do that. he goes into the past to get them. debby is in a wheelchair and he wants to save her because he believes that she is getting worse and worse. 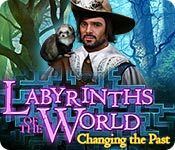 Rated 5 out of 5 by JoiAnn from Labyrinths of the World: Changing the Past Wonderful game. I had to force myself to stop, eat, and sleep. But, will there be a continuation or must we accept that she kills the Detective? Rated 5 out of 5 by Nathlie from Another great game in a series of great games. 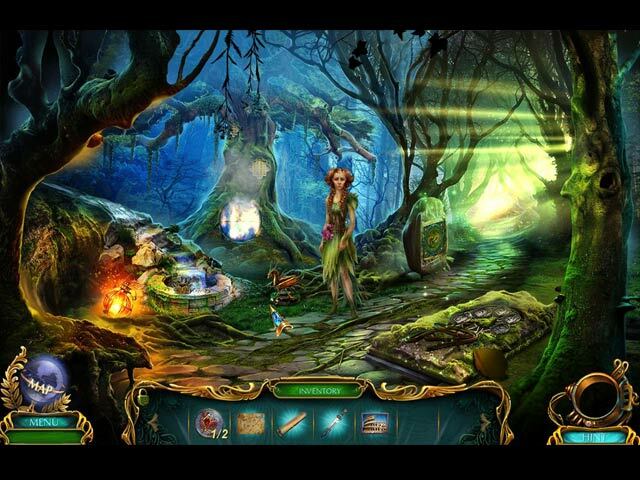 I love this game and I would definitely recommend it to any person who likes hidden object or search and find games. Rated 4 out of 5 by tophatmcgee from Great.......Until the End I just wanted to come on and add my agreement to previous reviewers that had an issue with the ending. It was too abrupt, did not answer any questions, it just left you hanging. My favorite remark, that I am totally stealing here from Gunlott, is that it was like getting to the end of a book and finding the last pages missing, just like that old M*A*S*H episode :) That kept me from giving it 5 stars. I will recommend it, with this warning, the ending is missing. Rated 4 out of 5 by kateblue222 from CE or SE? Which to buy of this fun, yet somewhat nonsensical, game? I write to suggest whether you should buy the CE or the SE, which is the information I always want if I have bought neither and both are out. You are chasing after your friend who has turned evil. He is supposed to be trying to save his supposedly dying fiancé, traveling though time and collecting objects to do so. And in the process, apparently, changing history. This review is based upon playing all of the first and most of the second chapter of the CE. The art is really great, in my opinion, and that is one of my favorite things. The music is ok. I didn't turn it off. The main problem with the game is that, to me, it doesn't make much sense. Some examples: 1) The story doesn't make much sense. Why is your friend evil now? Is his fiancé really sick? 2) The things you collect to use in the actions that you must take to progress through the game don't make much sense, Hence, pretty constant use of the hint button 3) One puzzle was so mystifying that I took a computer snapshot of the strategy guide, fired up my second monitor (a retired TV too small for the living room but without the proper number of pixels to be a great computer monitor) and read the solution off as I clicked. 4) And in one maze, the skip wouldn't work even though it appeared in the lower right hand corner. Despite these problems, I bought the CE. The game played seamlessly other than the "skip" issue mentioned above. I had a good time because the HOPs are decent and the minigames fun. Another reason I bought the CE is that the Extras are excellent. There are collectibles, achievements, puzzle pieces, a bonus chapter, and the usual art and music. Also, it includes my favorite feature, replayable HOPS and mini-games. Try it and see if you agree . . . beautiful but nonsensical, yet still fun. So if you really like the game, buy the CE, but al least buy the SE. It's worth playing. Rated 4 out of 5 by biscuitsmama from WILL PETER SAVE HIS BELOVED IN THIS ROMP THROUGH ANCIENTHISTORY Well, it should come as no surprise that once again you play a game as a detective. This time you receive an alarming call from the director of the agency who needs your help when your friend and colleague, Peter, disappeared shortly after he searched the archives to locate several items that the agency classified as extremely dangerous. What was Peter searching for and why? After arriving at Peter’s home you come face to face with him when he goes on a rampage and tries to kill you. What has happened and why has Peter turned into a madman? Changing the Past is a very good game that allows you to travel to different times and places as you try save Peter, undo the damage he has caused, and figure out why his fiancé is pretending to be terminally ill, which is what started him on this path of destruction. Changing the Past is a game that offers almost everything I look for that, at least for me, makes a game one that I will enjoy. It has excellent graphics that are very sharp and crystal clear. I like the intense color palette the artists used to create the graphics much more than I do those in a game where everything is pink, purple and blue. The lip-synced voiceovers are generally very good, but there is one that could have been better. The game offers four modes of gameplay including a Custom Mode so you have the option to set up gameplay for the way you like to play. The full game includes 5 chapters plus the bonus game. Your tools include an interactive map and a watch that allows you to turn back clock so that you can avoid dangerous situations. The HOPS are varied with some interaction required to find a few of the items. The scenes were well-crafted and most of the items were fairly easy to find even though some of them were very well hidden. Most of the HOPS were slightly interactive and it wasn’t difficult to figure out what items needed to be used and where in order to complete the scene. There is one HOP where we need to find all of the morphing objects in order to open the list of items to be found. Even though the puzzles were nothing I haven’t seen before, I still enjoyed them. There was one puzzle early in the game though that really made me very dizzy as I tried to grab the speeding letters as they went flying by. I almost skipped that one but did make it through without too much trouble. That particular puzzle might be difficult for anyone who suffers from vertigo so you might want to skip it. I am sure you will know the puzzle I am referring to as soon as you see it. A puzzle I loved involves restoring a map, but it is not as easy as it seems since it becomes progressively more difficult with each level. Although I did not care for the last game in the Labyrinth series, this one is a vast improvement. 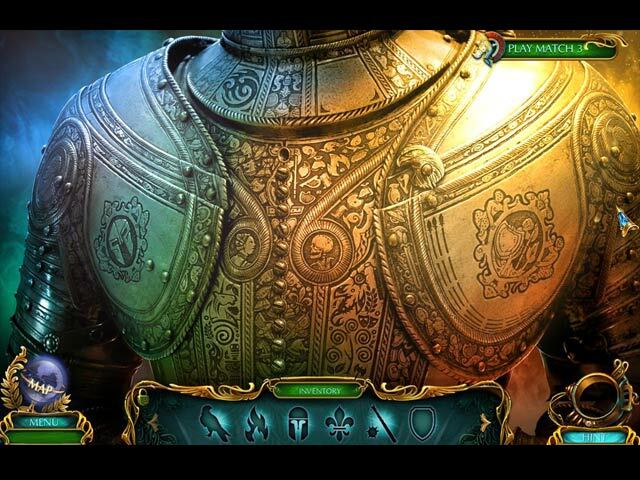 I generally like games from this development team and find that in general they present a bit more challenge that is something most of us want in HOPA games. Not everyone will like this game as much as I do but I think it is excellent as I am enjoying the storyline and gameplay. There is the mystery of Debby and why she is faking her illness – or is she? My recommendation is that you try the demo to see if Labyrinths of the World Changing the Past is a game that you will also enjoy. Rated 3 out of 5 by spythere from Island Hopping through a Distorted Past This is quite a mixed bag; I was delighted and disappointed within short intervals. What motivated me to buy it was actually Mrs Watson. Besides her acting, which is at least an attempt not to stand about stiff like a wooden mannequin, she is the first person in a game who doesn't drop dead after having drunk a sleeping potion. She just says "I feel so sleepy, I must lie down" and leaves the room. I was impressed. Unfortunately, this was an exception. All later applied sleeping-pills let their victims slump as if hit by a bullet, in the same old stereotypical way. Through the whole game, except the bonus, we find heavy distortion and misinterpretation of history. The past has been changed, and how! Ancient Rome looks for some reason like Pompeii after the Vesuvius eruption. There was never an emperor Magnus Crassus - however Gnaeus Pompeius MAGNUS and Marcus Licinius CRASSUS built, together with Gaius Julius Caesar, the First Triumvirate. King Wilhelm, whom we meet in the Middle Ages, wears the haircut of a slave. No man of honor had short stubbles, back then. Those devs are a conundrum to me. They created the proper image of a king in the Middle Ages, that is, the king's statue right in front of the castle. But the king himself looks like a costumed grandad from nowadays. As if two completely different groups had worked on the game; excellence and absurdity go hand in hand. The “Renaissance” happens on floating islands (nice-looking nonsense, didn't bother me) and seems to be Baroque, regarding the costumes. “Our ruler” Isabel, dressed as a man, appears like an accumulation of bad taste, a fashion victim of the early Seventies (20th century). Pity, there existed such marvelous women's clothes during the Baroque. Besides, not even a leading woman would have disguised herself in men's garb. No idea why she has to be a woman at all. My guess: Domini wanted to counterbalance the fact that the player is male - and gave all the supporting roles to women :D Their execution however is again very different, from horrible to excellent. Andra, the rebel leader against Magnus Crassus, and the above mentioned Isabel are ludicrous and discrepant, from play-acting and voice over to outfit. The scientist and the hacker in the bonus chapter however are believable, interesting characters. I also was pleasantly surprised to encounter Audrey Hepburn who plays Magnus Crassus' daughter Augustine. She is enchanting; how she stumbles over the futuristic word gun powder. Too bad, she merely has one short appearance. Apart of history pranks this game also provides a broad range of absurdity in details. Peter puts on a mask - and instantly turns into a laughable fire-breather. Miss Watsons asks for a glass of water - we give her a glass of (poisoned) lemonade. An Alsatian dog – bred not before the late 19th century – appears 2000 years before his time and gives us a fresh loaf of bread. A beggar juggles with glass balls in a way which would shatter them in seconds. You will be astonished quite often. But it's nevertheless fun to play, it always held my attention. HOPs are wonderfully varied and quite a challenge. For example: detect 6 morphing objects which unlock silhouettes … of which we must find two or three items each. Not too easy, especially when we have to strain our eyes on a polished, intricately engraved silver armor or in sparsely lit corners. Sometimes HOPs are in whole scenes, and also interactive. In any case, one never gets bored. Except the the laser puzzle in the bonus chapter I found the mini games not very difficult. But I anyway don't like frustrating puzzles which are not solvable without a strategy guide. I coincidently bought the Collector's Edition of this game - and detected that it has the best bonus chapter I ever played at BF. Whereas the main game is more or less just another rehashed fantasy tale in the same old same old pattern; the bonus tells a genuine story. Has a plot, makes sense. Acting, VO, even the music are improved. 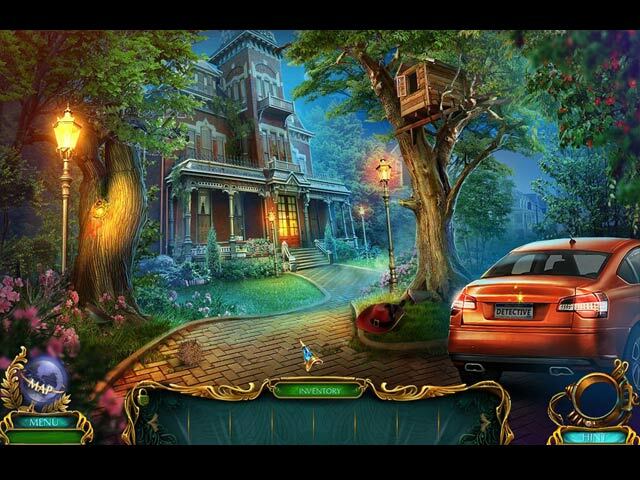 The main game leaves us unsatisfied with an unsolved case at the end, since the thief escapes. The bonus, which is an immediate sequel, ties up lose ends and eventually delivers the (quite revolutionary) happy end. If you want to know more about the bonus content, read my review of the CE. I wouldn't recommend the SE of this game, except you have a coupon to waste. Rated 3 out of 5 by Anidea from Ending was abrupt The game was fun but the ending came up suddenly and was as though somebody ran out of steam on storyline and just decided to conclude it. Other than that I would have given it a higher rating, but given that, no way. Rated 3 out of 5 by Aliana_4711 from Far too short, here and there too far-fetched My rating is based on completion of SE. Story: In principal it could have been quite a nice story, if it wasn’t so far-fetched. Even though it is a kind of mystic story - you’re an agent, following a colleague and remodeling his deeds in the past- the story had too many holes, to be plausible. And had a hasty end. You can use a projector that leads to the respective time slot -> Rome, Middle-Ages and Renaissance. The locations were mostly appropriate. Some of the characters were overblown, some were fitting. Tools are an interactive map and a time device, which can speed up or slow down - time. That’s very useful. I enjoyed: Quality, HO’s and mini games. It was excellent animated and had good voice overs. Some nice details were supplementing. The music was fitting and decent and didn’t play the entire time. There were lots of different HO’s, silhouettes, morphing objects etc. Some were slightly interactive. All of them very pretty good, clear and lucid. You can switch to match 3. The mini games were well-crafted, but not that difficult. There were some nice puzzles. The tasks were logical. All in all it was not really challenging. Dislikes: Length: I needed something between 2 and 3 hours. That’s far too short. Difficulty can be slightly customized, but you can’t exclude helping texts or contextual pointer. The places you could find the needed items were sometimes more than weird. What’s doing a dragonhead in a crystal? I am always wondering, about the whereabouts. And once again, we had that “evil laugh”. Personal note to all developer: why do the bad guys, the witches, sorcerers, ghosts or the villains always have to laugh so dreadful? That’s ridiculous.